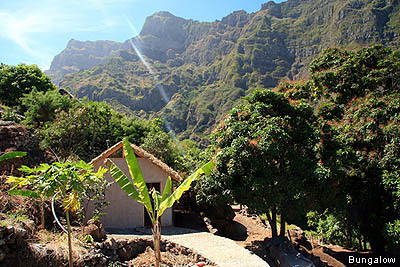 Paúl is the greenest of valleys of Santo Antão island. 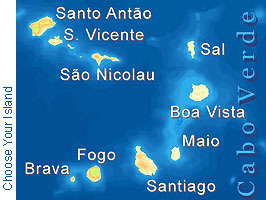 The muletrack over Lombo Comprido, once of utmost importance, has metamorphised into the wellknown hiking track 101 from the caldera of Cova de Paúl to Vila das Pombas at sea-level. 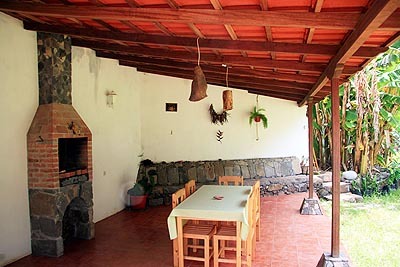 The recently built Holiday House Aldeia Manga is located in an agricultural compound, surrounded by sugar cane plantations, mango and monkey bread fruits, Papaya- and Bananas. It stands high benath the valley and gives rest to hikers and guests coming for a relaxing leave where there is little more than silence. Most are happy with the fact that getting to the next road, bar, restaurant or shop means at least 10 min of walk. The small access road ends 100 m from the place. 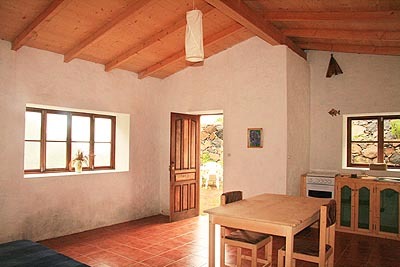 The kitchen is based on the best from the local market. 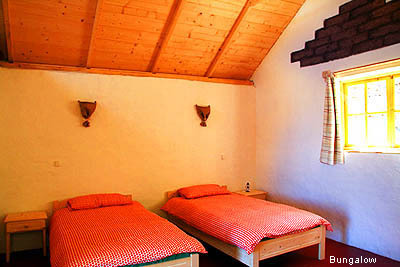 For guest not comfortable with the idea to prepare their food themselves, Halfboard (breakfast and supper) can be booked jointly with the accommodation. Lunch-packs are prepared on request. There is no restaurant in the neighbourhood. 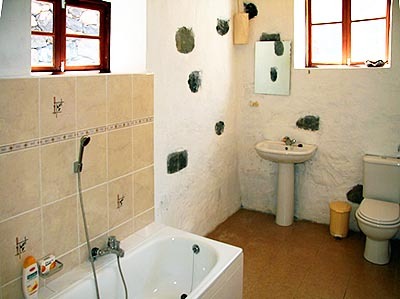 Bungalows with private shower / WC offer budget accommodation in this stress-free environment. Taxi-services (ALUGUER) can be booked the way that the driver meets guests at the harbour of Porto Novo upon arrival. 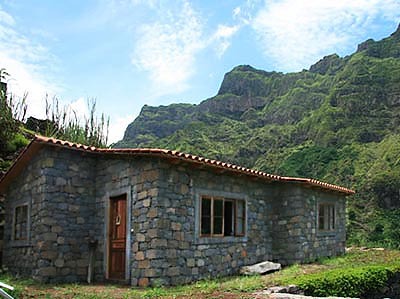 If you like, you can make use of the day of arrival for a three hours walk down from the crater of Cova to Lombo Comprido (about 3 hours) and your luggage finds it way to the house by itself. 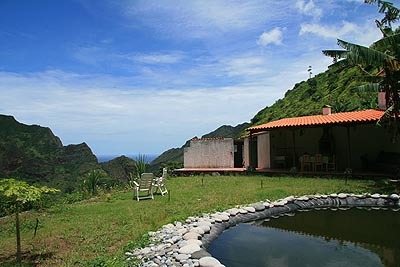 Located in the centre of the valley, access to the famous hiking trails of Paúl in all directions is given within half an hour. The range covers at least a week of good hikes. 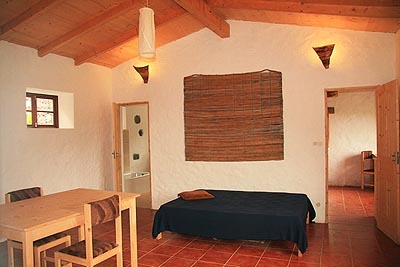 Local guides can be made available on appointment. To reach the next supermarket, bank, postoffice and other urban facilites takes half an hour by car. Prices vary according to season and length of stay. 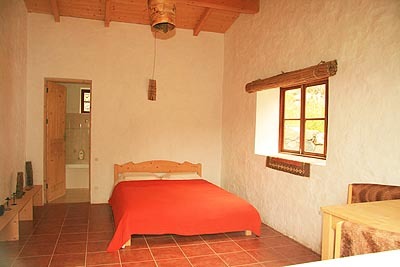 Ask for an individual quote for your intended season and stay.